@Hairsite: how can I access the old archives (prior to 2007)? How can I access the old archives (prior to 2007)? » How can I access the old archives (prior to 2007)? No, I want the forum archives. All threads prior to 2007. » » How can I access the old archives (prior to 2007)? » » is it possible? Look who is talking about convulsions. » No, I want the forum archives. All threads prior to 2007. » HT and HM forums. » » » How can I access the old archives (prior to 2007)? » » » is it possible? Yes, that’s all that you need without having to go through thousands of threads. All the meaningful discussions in the past are summarized here. BTW, Mr. Spanish Dude, if you are going through the archives, please do not quote anything OUT OF CONTEXT. The founder of this site never once said he was unhappy with Dr. Gho’s work. He never expected 100% regeneration for the donor site in the first place. It has never been in my spirit to quote things “OUT OF CONTEXT”. It has never been in my spirit to mislead people. On the contrary. But common sense says things even though they are not written explicitly. 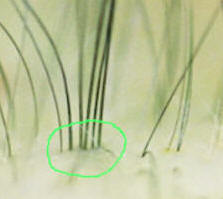 Hairsite got just 200 grafts from Gho. And despite of the small number of extractions, he felt the donor area had some depletion. It is normal to assume this was a just test. And he never went back for more. So I feel that he was not terribly happy. Ok, nevermind, I am not going to make a big deal out of this, and I don’t want to involve Hairsite into this “fight”. I understand that Hairsite has a position of responability as owner of this site, and he doesn’t want to mess with anyone. I will focus in other patients. » » No, I want the forum archives. All threads prior to 2007. » » HT and HM forums. » regeneration for the donor site in the first place. okay, thanks for the link, it is useful, but as you may understand, this compilation of “best threads” doesn’t contain all the info. I would like to access all the archived threads. Is that possible? » threads. All the meaningful discussions in the past are summarized here.